The information &specifications contained on this website has been checked for accuracy. However, specifications &technical data are subject to change without intimation. Various external links may have been made to other websites for your convenience. Multicarehomeopathy.com site or Dr.Rangadhar Satapathy do not wish to imply that these links have been authorized by the owners of such linked sites. We are also not liable nor shall we be held responsible for any content on any website whatsoever. As technology keeps changing, information &views stated on this website may be altered, appended &/ or deleted. 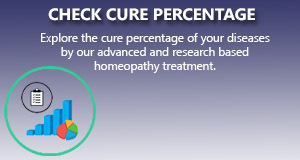 Multicarehomeopathy.com site or Dr.Rangadhar Satapathy reserve the right to alter these and / or any other specifications, information &/ or data, whether expressly stated on this website, or otherwise, without any prior notice. Please contact the Sitemaster in case you have problems accessing this site or experience any broken links / missing images. We thank you for your time &concern. Homeopathic medicines are absolutely safe when prescribed alone or concomitantly with other modes of treatment you are currently being prescribed. There are no known drug interactions between Homeopathic medicines and other medications. We do not suggest to replace or substitute to the conventional treatment. Homeopathic medicines have earned a reputation as being safe, non-toxic and free of any side effects. During the course of treatment any adverse medical signs observed or symptoms you experience will not be considered as an adverse or side effect of the Homeopathic medicines prescribed. Environmental factors, psychological factors, diet, natural progression of the disease etc. will be taken into consideration and appropriate corrective measures will be advised. Our organization takes no responsibility for any presumed complications. Multicarehomeopathy.com site, consultation and homeopathy medicines recommended by Dr.Rangadhar Satapathy assures you of the best possible efforts for those who apply for online treatment. However, please note that we do not claim to cure each and every case, nor do we guarantee any magical cure. Our organization runs a reputed medical center in India and the treatment offered online is from our clinic in India. It is considered that the user has read and agreed to this disclaimer, when one uses the literature on this site and the online treatment option. The information provided by patients on this site is treated strictly as confidential and will not be disclosed to any company or individuals. Multicarehomeopathy.com reserves the right to revise its fee structure and policies at any time without prior notice. Anybody applying for treatment in our website that means, he/she is fully agreed to all our terms and condition of our disclaimer.